FTX Germany South. Two hundred thousand square kilometers, hundreds of objects, enhanced airports and countless cities and towns. What can you expect from this scenery? Southern Germany is a scenery for travelers. 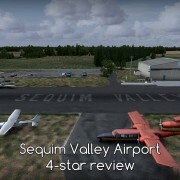 You can fly here for hours, slow at low altitude, searching for significant buildings and beautiful landscapes. The valleys of Neckar, Rhine, and Moselle will take you on a journey through the complex past of German states and principalities. 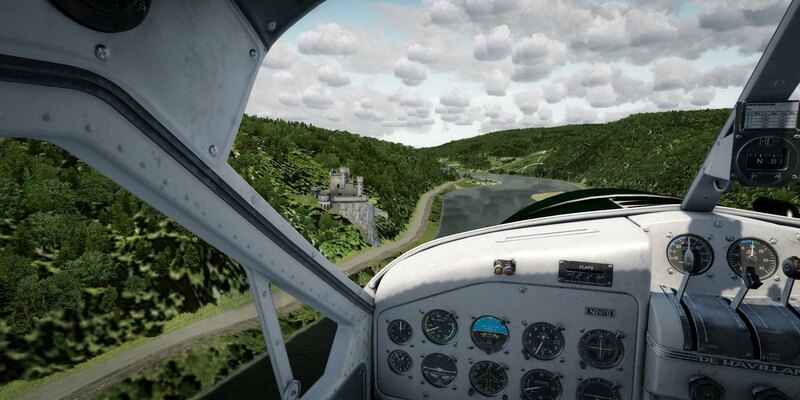 Munich combines history with the present in one of the most impressive urban scenes I have looked at in the simulator. 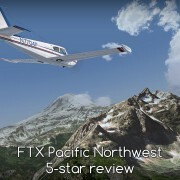 In addition, FTX standards – great landclass, dense autogen and good vector data allow you to enjoy the scenery on flights at any altitude – regardless of whether you are following terrain features from up close or marveling at the broad landscape from a jet. 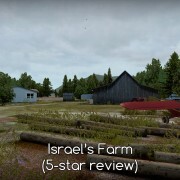 Reviews of FTX regions are the most challenging of those I write. Other products adhere to the same pattern – they are (or are not) in line with market standards and I can compare them with the competition. FTX is a class for itself. No one else offers large scenery containing terrain, objects, vector data (rivers, roads, railway lines), flora and urban development. Here I ask myself – how can I approach this? How to draft a document that in 1000 or 1500 words will present the features of the product? I will concentrate on a few selected routes describing what I found. This description is not comprehensive. It just can not be. 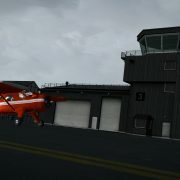 But I hope I can at least show the essence of Southern Germany ORBX and inspire you to look for other interesting spots. 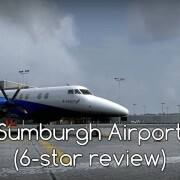 I start the trip in the south – I fly here from Innsbruck (another great scenery by ORBX – check out my 6 * review). The Alps make me think about the mesh ORBX used – admittedly, the twenty-meter grid is far from the ideal, but this is a clear improvement over the SRTM data (for the Alps there is a free mesh with a resolution of 38 meters). Elements of the vector scenery and related objects are also noteworthy. If the developer boasts of distributing 116 thousand high-voltage pylons, I believe it took a lot of work to place them. I observe the effects in every single place all over Germany – high voltage lines cross the landscape without adding charm. Especially here – in the Alps. But it is not about charm. I expect the scenery to be correct first, beautiful later. My first stop is GaPa. Garmisch Partenkirchen. German winter sports center. It was here Germany held the IV Olympic Games (1936), and the World Ski Championships in alpine skiing (twice) and it is here where every year on the January 1st ski jumpers compete in the 4-Hills-Tournament. This ORBX ski jump is nice and as far as I remember from television reports – its real-world shape corresponds to what I watch in the scenery. With Innsbruck (separate scenery), Oberstdorf (also FTX Germany South) and GaPa ORBX created three out of four ski jumps of the 4-Hills-Tournament. Only the Bischofshofen (Austria) is missing. In the northern suburbs of Garmisch, the road over which I am flying disappears in a tunnel – an underground beltway of a village (a small town?) of Farchant. Further north it emerges again. Tunnel entry and exit are visible. A quick trip to the northeast and I am over Munich. I start by checking the points I remember. Allianz Arena – tick. A “four-cylinder” BMW building? Where I expected it to be. I also find the Olympic Stadium and Olympiaturm right next to the Nymphenburg Palace and the monuments of the old town. The Frauenkirche onion-like domes are as ugly as they are in real life. If I raved about Berlin (Northern Germany ORBX) I’m even more impressed with Munich! From Munich, I fly southwest. Towards Lake Constance and the Rhine. First stop – Neuschwanstein. The king of Bavaria, Ludwig II built the idealized knight’s castle in the nineteenth century. He was called the Mad King Ludwig. To this day, disputes persist whether the king was mentally ill or that his eccentric behavior was so read. In the simulator Neuschwanstein does not disappoint – it is just like in the Disney’s logo (of course the order is the opposite – it’s the Disney who copied the Bavarian castle). Located right next to it is the Hohenschwangau Castle, which seems to be medieval. It is not. Built in the early 19th century – by King Maximilian II. The love for medieval-style castles passed from father to son. Over Karlsruhe, I know that I fly over an important industrial center. The river port occupies a larger area than some seaports, chimneys, cooling towers, and wind turbines mark the horizon line. Power lines harm the landscape even more than anywhere else so far (and I will take you back to the Ruhr area, where there will be more of them). 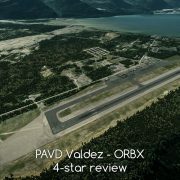 Here I also check how the ORBX dealt with bridges. Rheinbrücken Maxau is in its place. The next bridge, in Germersheim, makes a smaller impression. But also the actual construction is just a simple truss. Here my curiosity was caught by the nuclear power plant in the background (EnBW Kernkraft GmbH, Kernkraftwerk Philippsburg). Due to the weather, I pause here. The southern bridge in Speyer (Speyer) does not make a big impression too. Just an ordinary road bridge. But close to the river you can see the cathedral – the burial place of several German emperors. A few kilometers further to the north along the Rhine, motorway no. 61 crosses the river on the Speyer Rheinbrücke. The construction is much more interesting. The connections between the banks of Ludwigshafen and Mannheim are also more interesting. What is on the banks also makes me look at the map and check what am I watching? The guide suggests that on the right (Mannheim) I noticed a baroque palace – today it is a university. On the left bank, there is a shopping mall. I miss the precisely designated Quadrate district. on the right bank. It should be just behind the university. Further to the north, I pass the Nibelungenbrücke. The northern thread of the road runs along the rebuilt bridge (the one with the tower). Southern was added much later. Déjà Vu. Again, I pass the bridge and on the right bank, I can recognize the distinctive buildings of the nuclear power plant. They are built at large water reservoirs, which provide cooling water (in a non-radioactive cycle). The Rhine provides cooling here. Ahead of me lies Mainz and Wiesbaden. The world of castles begins here. I will end the story of the bridges with a strong accent – Theodor Heuss Brucke. Developers even placed the ship moored at the right bank. I end this tour of the castles in Koblenz. 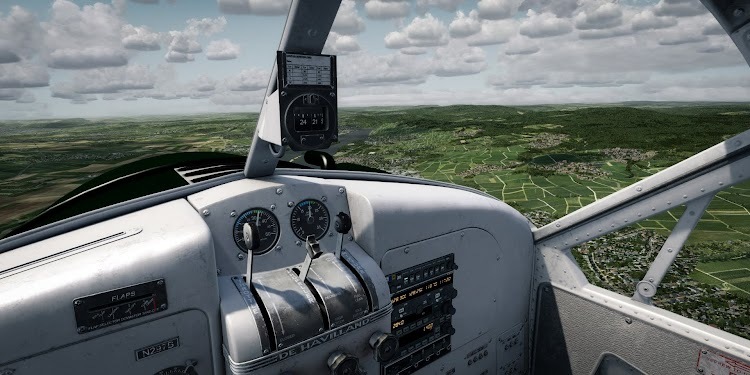 This is one of several cities that the ORBX has implemented in the enhanced version (similar to Munich, Ulm, Passau, Lindau, Bamberg, and Würzburg). It is worth visiting here to see the Deutsches Eck – a promontory where the Rhine and the Moselle join. If we turn to the west (and follow the Moselle), we will pass the beautifully located airport and more castles. There were many of them on the Franco-German border. I’m holding on to the Rhine. Next stop – Cologne. I pass Bonn (the capital of West Germany during the Cold War) flying to Cologne. A spectacular cathedral stands in the city center – it is a miracle it survived the war. Bombs hit it fourteen times during the air raids, which razed the entire city, it stood out above the sea of debris. Cologne was one of the most bombed cities during the war. If the scenery shows modern architecture is not a mistake, but devotion to the actual appearance of the city – rebuilt after the war in a style much different from the original. The Hohenzollernbrücke railway bridge deserves attention as it is one of the historical buildings. Blown up in 1945, it was rebuilt after the war as a railway bridge (earlier it served trains and cars). From Cologne, it is worth going west. Smoke from three power plants shows the way. Those power plants take their coal from nearby open pit mines. One of them – Hambach, is called the “biggest hole in Europe”. Maybe it’s far from record-breakers on other continents, but I can not get past the opportunity to look into the four-hundred-meter hole. ORBX has covered the open-pit mines with photosceneries. It’s covered with high-resolution photos (you can even see the details of mining machines) so a flight in the mine is a mandatory experience in a simulator where such ideas do not expose the pilot to criminal liability. The bottom reaches 299 meters below the sea level, so you need to prepare yourself for the negative altimeter readings (note – some will lock on the zero). There is a concept of filling the mine with water – which would create a lake 400 meters deep. According to calculations, flooding with water from nearby rivers would last at least until 2100. 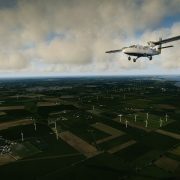 FTX Germany South costs less than 55 Australian dollars and is available only through the ORBX distribution system. While writing this review I focused on a few distinctive elements. The choice was random (from the point of view of the developer) – I chose those places I know or I know something about. After completing 30 or 40 flights in different places of the scene, I think my assessment represents the whole scenery. 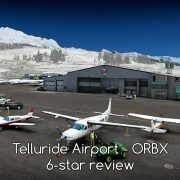 For a more general description of the ORBX additive universe, check out the ORBX product guide. The efficiency of the FTX regions is a complex issue. First, they use a very dense autogen and those autogen settings in the sim matter. For weaker PCs, it will be necessary to move the sliders left. Big cities make the second challenge (I emphasize – this is a challenge, not a problem). Munich, for example – a city behemoth filled with scenery objects and autogen (only dedicated city sceneries look better in the simulator, and not always!). If you want to see all these objects at – your computer has to cope with all the data. If you have weaker PC – I suggest that you avoid this city. The performance in rural areas is different. Go away from cities and you will find Germany South smooth on a mediocre PC.